Sustainable construction is an urgent requirement, according to more than 120 experts meeting for the first Holcim Forum in Zurich, Switzerland. Hosted by the Swiss Federal Institute of Technology (ETH Zurich), the message of the forum was that sustainable construction is not a far-away idea – but an urgent necessity. The Holcim Forum was the first public initiative of the Holcim Foundation for Sustainable Construction since it was established in late 2003 by Holcim, one of the world’s leading suppliers of cement, aggregates, concrete and construction-related services. Under the theme of “Basic needs”, experts and students from all continents and 34 countries took part in workshops, lectures, and discussions on the essential elements of society’s infrastructure. Numerous prominent speakers confirmed that the importance of sustainability is universally recognised. The earth’s population is still growing at an explosive rate, natural resources are decreasing, and populations are shrinking in agglomerations in developed countries. United Nations Environment Programme (UNEP) Director Klaus Toepfer, and member of the Advisory Board of the Holcim Foundation, said there are different social and environmental challenges to sustainability in different communities around the world. “Sustainable construction has particular importance because we live in a divided world”, he said. “Developing countries with mega-cities and new slums face different challenges to areas where populations are declining and cities must be redefined”. OECD Round Table on Sustainable Development Chairman Simon Upton, who is also a member of the Advisory Board of the Holcim Foundation, pointed out in an impassioned lecture how difficult it is not only to realize sustainability but even just to define it. “Sustainability in Africa means something completely different to the approach and needs in Europe or Latin America”, he said. “The basic needs of society must be identified at a local level, but that doesn’t prevent the exchange of good ideas, experience, and know-how. This Forum’s focus on ‘basic needs’ is to my mind the right one. It is as applicable to environmental pressures as it is to human needs” he said. Muhammad Yunus showed how credit could be used as a cost-effective tool to create sustainable development and alleviate poverty. Professor Yunus is Founder of the Grameen Bank which started out providing credit in rural Bangladesh without the requirement of collateral. With more than 3.7 million borrowers, 96 percent of whom are women, the Grameen Bank’s positive impact has been documented by independent studies from the World Bank and International Food Research Policy Institute (IFRPI). 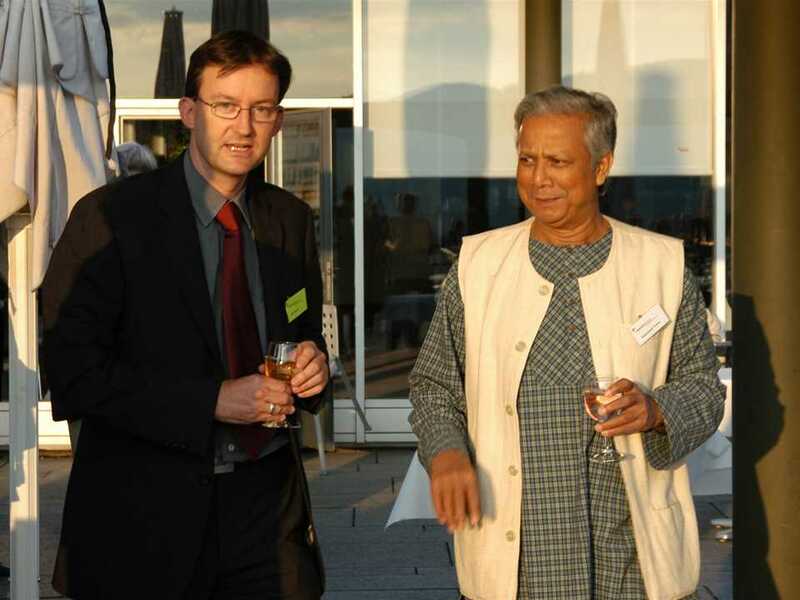 Professor Yunus, a member of the Advisory Board of the Holcim Foundation, showed that if financial resources could be provided to the poor on terms that are appropriate and reasonable, the notion of sustainability could embrace social, cultural and economic needs. “Small loans of sometimes less than 10 dollars can lead to a sustainable life by allowing the poorest people of Bangladesh to provide for themselves”, he said. 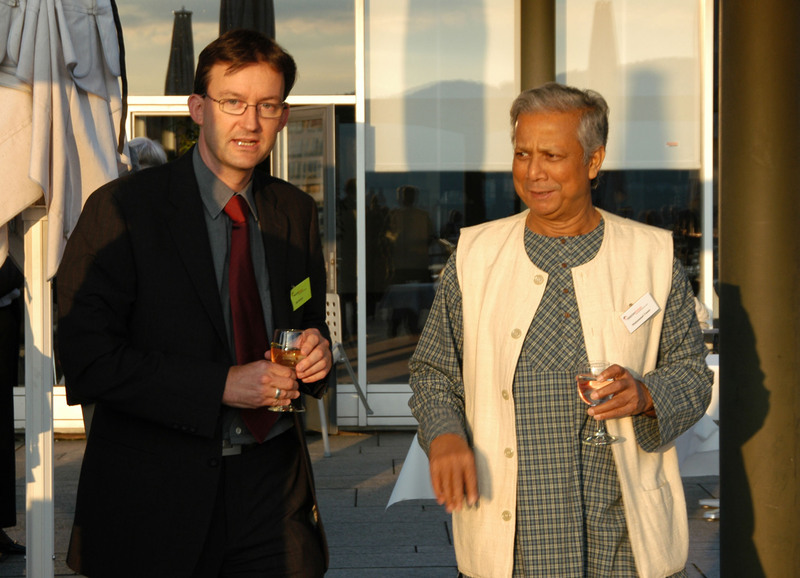 The micro-credit concept developed by Professor Yunus is now practised in more than 50 countries worldwide. Dutch star architect Winy Maas presented some revolutionary ideas for the future urban design of Paris and Zurich. Winy Maas proposed the use of high-density developments alternating with open nature areas to deliver greater livability in urban areas. “It’s the only way to preserve some empty space and save it from being over-run with urban sprawl,” he said. Winy Maas was a finalist for the Mies van der Rohe Award for European Architecture in 2003 and won the Amsterdam Art Prize in 2004 with his project Hagen Island in The Hague. Portuguese architect Eduardo Souto de Moura showed the role sustainability played recently in the construction of his spectacular soccer stadium. The site of the new Municipal Stadium was an eyesore five years ago - a derelict quarry on the face of Monte Castro, which overhangs the city of Braga. Five of the world’s leading technical universities were invited to nominate five students to participate in the Holcim Forum. Graduates from Brazil, China, South Africa, Switzerland and the United States provided the perspective of the next generation and showcased their ideas on sustainable construction in a poster exhibition. The poster exhibition encouraged discussions and the sharing of ideas between generations and regions – with forum attendees voting for the contribution that had inspired them the most. The “Next Generation” awards of the Holcim Forum were presented to China (Fang Xu and feng Qu, Tongji University Shanghai), South Africa (Maria Loots, the Wits, South Africa) and Switzerland (Ivica Brnic, Florian Graf and Wolfgagng Rossbauer, ETH Zurich). ETH Zurich Professor Hans-Rudolf Schalcher, and Member of the Management Board of the Holcim Foundation, agreed that the importance of considering the future could not be over-stated. “What we do today affects the next generation. We want to leave them a world at least as good as the one we ourselves had inherited”, he said. The Holcim Forum was the first event organized by the Holcim Foundation for Sustainable Construction, and marks a new chapter in Holcim’s commitment to sustainability of the built environment. As part of its activity, the Holcim Foundation will launch the global Holcim Awards for Sustainable Construction which are set to award cash prizes totaling USD 2 million for innovative, future-oriented and effective sustainable construction projects on regional and later international level. 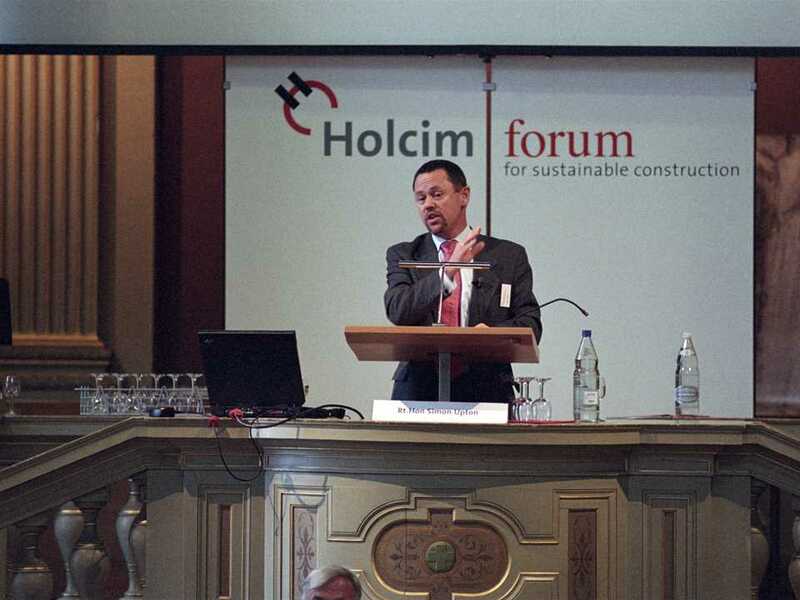 Holcim CEO Markus Akermann, and Chairman of the Management Board of the Holcim Foundation, said that the Holcim Forum was a platform to learn from the know-how of some of the most qualified experts on sustainable construction from many cultures. “We are pleased with the response to the Forum’s program, and are convinced that its activities will make an impact beyond the bounds of the building materials and construction industry”, he said. “The launch of the Holcim Awards competition will provide an opportunity to recognise efforts that are building a bridge toward a sustainable future. Experience tells us that awards are an excellent way to encourage and inspire out of the box thinking, to explore new ways and means that might not have been considered in a traditional framework, and to draw attention to and identify excellence”. The Holcim Forum was an appropriate starting point for the activities of the Holcim Foundation for Sustainable Construction, according to Holcim Chairman Rolf Soiron, and Chairman of the Advisory Board of the Holcim Foundation. The speeches and workshops of the forum have demonstrated a diversity of approaches and a willingness to exchange ideas. 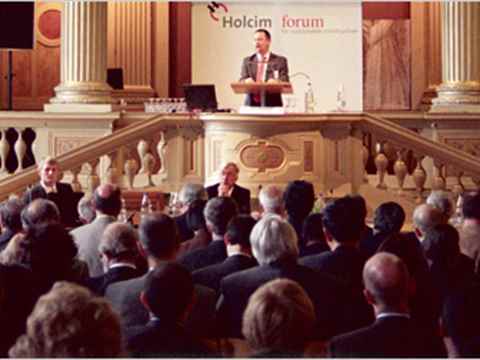 The Holcim Awards competition opens in November 2004. At the date of submission, the project must have reached an advanced design stage prior to the start of construciton. All entries for the awards must be submitted electronically using a dedicated competition website. More details are available online at www.holcimawards.org. The selection of award winners will be made by juries comprised of independent specialists working in the international arena towards the sustainable development of society, building processes, construction materials and building projects. The jury in each region is headed by a representative of the five partner universitites of the Holcim Foundation. For the organizer of the forum, the Holcim Foundation for Sustainable Construction, established at the end of 2003, the conference was the first public engagement – and for the host ETH Zurich, it was a special event with interdisciplinary significance and with influence far beyond Switzerland or Europe. 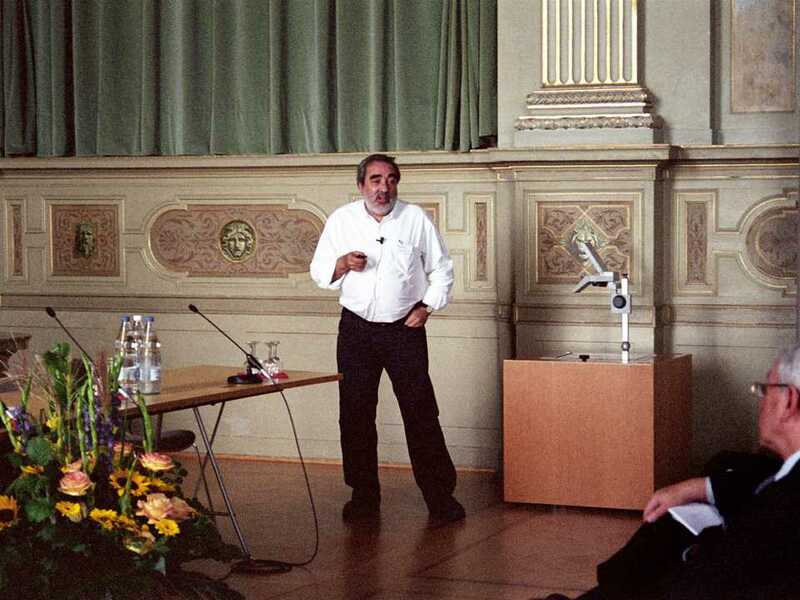 The collaboration between the Holcim Foundation and ETH Zurich is by no means limited to hosting the forums that are to be held regularly, but extends into many other areas as well. This November the Holcim Foundation will announce a global competition calling for architects, planners, engineers, and builders to act in the interest of sustainable construction and submit their associated projects, ideas, and initiatives. The prize money for the five regional stages and the final global stage of the competition totals USD 2 million. The judging criteria were determined by the partner universities of the Holcim Foundation. The regional judging will be conducted by independent experts under the direction of the Swiss Federal Institute of Technology (ETH Zurich), Universidade de São Paulo (USP) in Brazil; Massachusetts Institute of Technology (MIT) in Boston, USA; the University of the Witwatersrand (Wits) in Johannesburg, South Africa; and Tongji University (TJU) in Shanghai, China. The Holcim Foundation for Sustainable Construction promotes innovative approaches to sustainable construction mainly through regional and global Awards competitions and an international Forum. Architectural excellence and enhanced quality of life are integral parts of the Holcim Foundation’s vision of sustainable construction.